You want to optimise your recruitment process? Our free e-Book will help you do this! How can I optimise my job postings? When is it sensible to get feedback from the relevant departments? What level of communication do applicants expect? How can I make workflows as efficient as possible? What role does intelligent HR technology play in this? 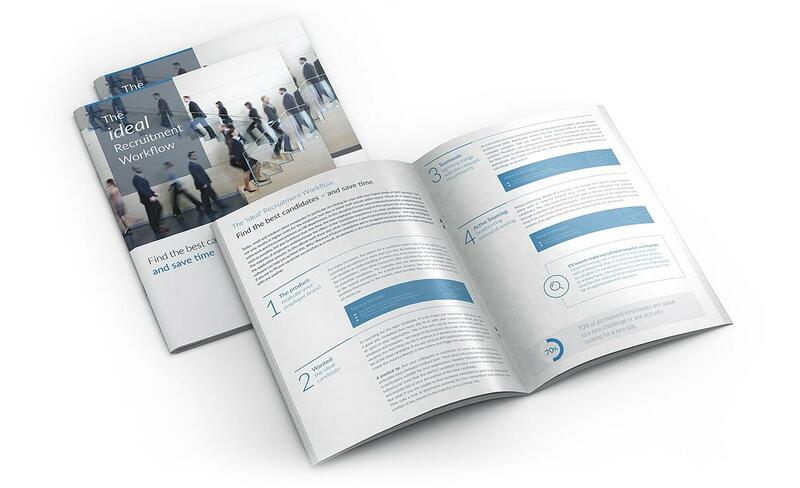 Free Download: e-Book "The ideal recruitment workflow"